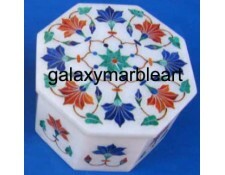 Taj mahal inlay art boxes,Agra,India. These boxes are very good for gifts. 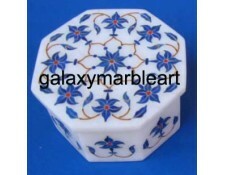 These boxes inlaid with semi-precious stones can be used as jewelry boxes,ring boxes,pill boxes.These are available in white and black marble and are made of two separate parts. 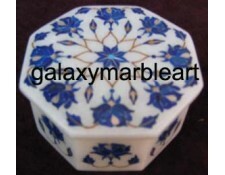 one lid and other box.Box is made of one piece of marble.Some boxes have work only on the top whereas some have on the sides also.Very delicate workmanship of inlay can be seen in these boxes. 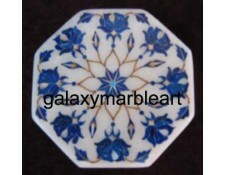 shipped worldwide by air and home delivered. 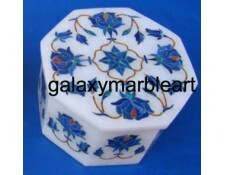 MARBLE JEWELLERY BOXThis box is an example of very fine, delicate,intricate inlay work. 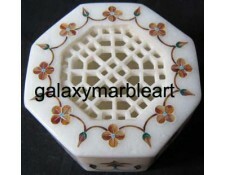 It is ..
MARBLE INLAY TRINKET BOXThis box is an example of very fine, intricate inlay work. 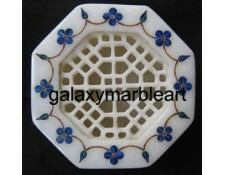 It is for a..
MARBLE INLAY BOX WITH INLAY AND FILGREEWith artistry of different kind ie. 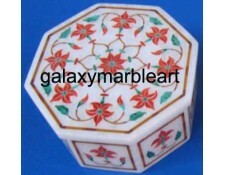 the filgree work done in ..
MARBLE INLAY GIFT BOXWith delicately done filgree work and Cornelian stone inlay work on top as well..
MARBLE BOXThis awe -inspiring box has high quality inlay work done by an expert craftsman havi..
MARBLE INLAY BOXis an examplary piece of workmanship in stones inlay..
Marble inlay box with beauteous, elegant workmanship and geometrical design with work on top and sid..